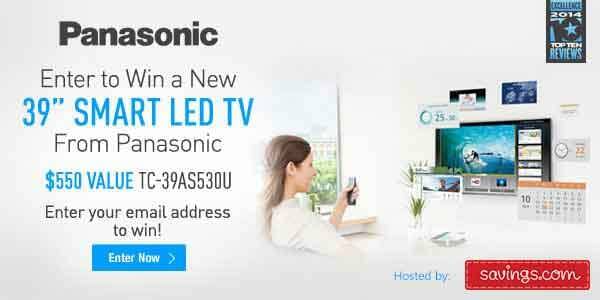 Welcome to Panasonic TV Giveaway! Savings.com is giving away a 39″ Smart LED TV from Panasonic worth $449! » Users can enter the giveaway by heading to the Panasonic page on Savings.com and submitting their email address on the form at the top of the page. » The winner will be chosen via a lottery drawing on Monday (6/9/14).